"One of the principal ways historians contribute to problem-solving work at MIT and elsewhere is by helping to identify what the real problem is in the first place. When we understand and articulate the roots and sources of a problem, we have a much better chance of actually solving it." 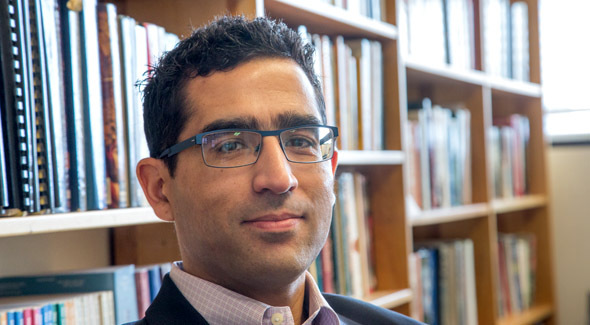 Malick Ghachem is an attorney and an MIT professor of history who explores questions of slavery and abolition, criminal law, and constitutional history. He is the author of The Old Regime and the Haitian Revolution (Cambridge University Press, 2012), a history of the law of slavery in Saint-Domingue (Haiti) between 1685 and 1804. He teaches courses on the Age of Revolution, Slavery and Abolition, American criminal justice, and other topics. MIT SHASS Communications asked him to share his thoughts on how history can help people craft more effective public policies for today's world. A: I think the most important lesson for public policy may be that we cannot ignore the distant past — and in the case of Haiti, by "distant past" I mean only so far back as the eighteenth century. (With apologies to colleagues who study the yet more distant centuries of ancient and medieval history!) Public policy has a short-term memory, however, and this is especially true of economic policy, which tends to look back only so far as the early twentieth-century to understand, for example, how a financial crisis comes about and what it entails. 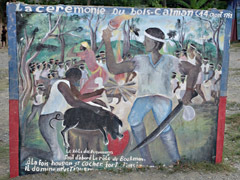 Haiti showcases the decisive present-day impact and legacies of a history that goes back more than three hundred years, to the rise of the slave plantation system. My current work tells the story of a planter rebellion in the 1720s against the French Indies Company, an event that ended the era of slave trading monopolies in Saint-Domingue (as Haiti was known under French rule) and left large-scale sugar planters in effective control of the colony. "A history of Haiti that begins with the revolutionary years leading up to Haitian independence in 1804, or any period thereafter, will necessarily lack a handle on just how deeply rooted are Haiti’s current circumstances." We can see this on any number of levels. 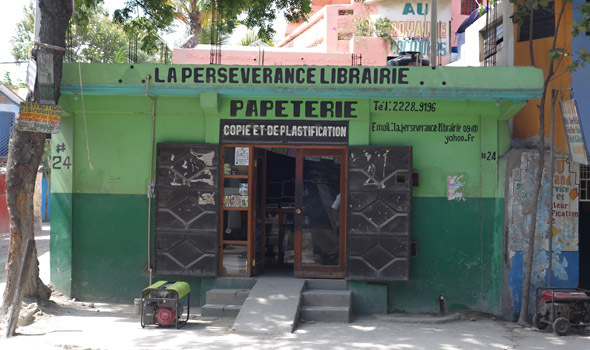 Colonial history continues to hamper prospects for broad-based education in Haiti, as my colleague Michel DeGraff’s work on the linguistic politics of French vs. Haitian Kreyòl powerfully demonstrates. The environment is another example. Part of the resistance to accepting the reality of climate change (whether in Haiti or elsewhere) is a reluctance to acknowledge that history in this deep sense matters. Yet it is clear that deforestation in Haiti begins no later than the seventeenth century, when French settlers began using trees for purposes of lumber and fuel. 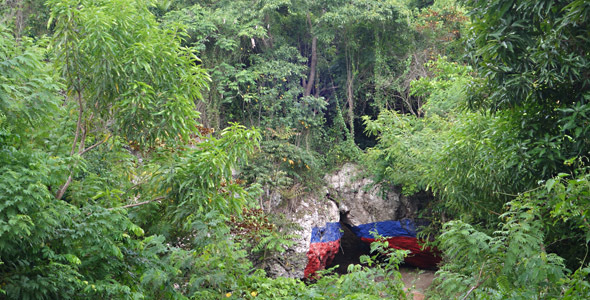 By the time of Haiti’s independence, the lack of forest cover had already left many parts of the country vulnerable to flooding. "An understanding of how recent tragedies in Haiti draw on the full weight of Haitian history encourages and even demands a longer-term commitment to the problems at hand. And it suggests that effective responses to what seem like essentially medical, environmental, or legal problems must cut across conventional categories of policy analysis and understandings of responsibility." Also see: Malick Ghachem on how Haiti helps us think differently about history. This is a crisis of sovereignty that takes the form of a monetary crisis.The earliest such currency crisis dates back (again) to the 1720s, and it’s one dimension of my current research. One of the two key triggers of the revolt against the Indies Company was a suspicion that the Company intended to eliminate the use of local Spanish silver coins, on which most colonists depended for their livelihood. The lack of a reliable and stable currency remained a problem throughout the colonial period and continues to severely constrict the economic horizons of many Haitians today. "It’s important to do the unglamorous, nitty-gritty, heavily historical work of understanding the local and the particular. A sustained patience for understanding the local in historical contexts is itself a tool of public policy — a way of seeing and talking about the world, and (if wielded correctly) an instrument of power and justice." MIT is working to advance solutions to major issues in energy, education, the environment, and health. For example: How can we reduce morbidity and mortality in cancer cases? How can we halve carbon output by 2050? How can we provide quality education to all people who wish to learn? As the editors of the journal Nature have said, framing such questions effectively — incorporating all factors that influence the issue — is a key to generating successful solutions. MIT historian Malick Ghachem gets readers and students to look anew at the Atlantic world.